My son surprised me the other morning. He came to the table during breakfast carrying three Everyday Food magazines and said, “Mom, I was looking through these and picked out three recipes I’d like you to make.” What? My 10-year old son was looking at cooking magazines? And actually found it interesting enough to pick out some recipes? I turned giddy. I instantly had visions of us spending hours cooking together, watching cooking shows together, talking about recipe ideas and interesting ingredients. I said, “Sure, of course! We can make them together!” He showed me the recipes, we tagged the pages, and the plan was set in motion. It turns out he wasn’t too into the cooking part and really just wanted me to make lots of sweets; all three recipes were desserts. But that’s OK. We did spend some time together in the kitchen; I think it’s really important to get kids involved in any way possible, even it’s just picking out the recipes. It’s a start! 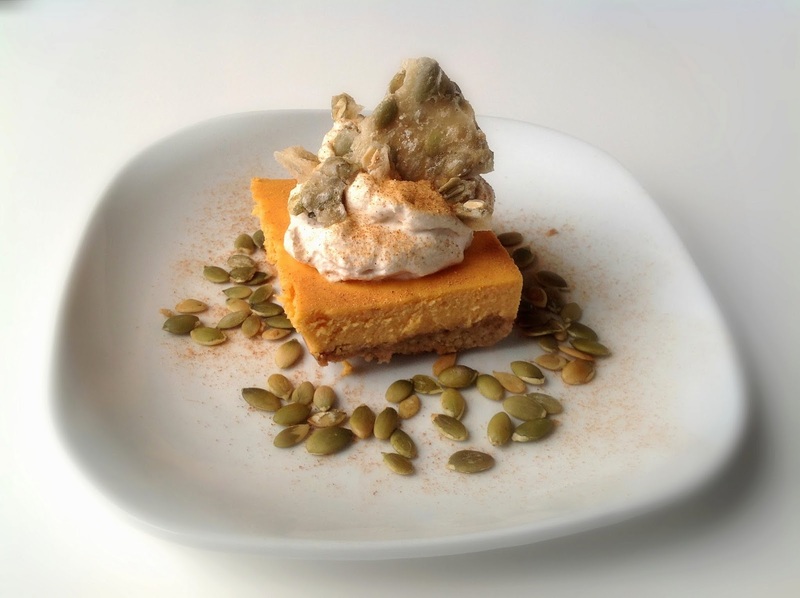 This recipe is similar in taste to pumpkin cheesecake and could easily be made gluten-free if you use nuts in place of the graham crackers. I wanted to jazz it up, so I made one of my son’s favorite toppings: homemade whipped cream. It’s so easy, you’ll never buy that nasty, oily fake whipped cream in the store again. Plus you can flavor it a number of ways to complement your particular dessert; I added cinnamon. I also wanted some crunch, so I made pepita praline. 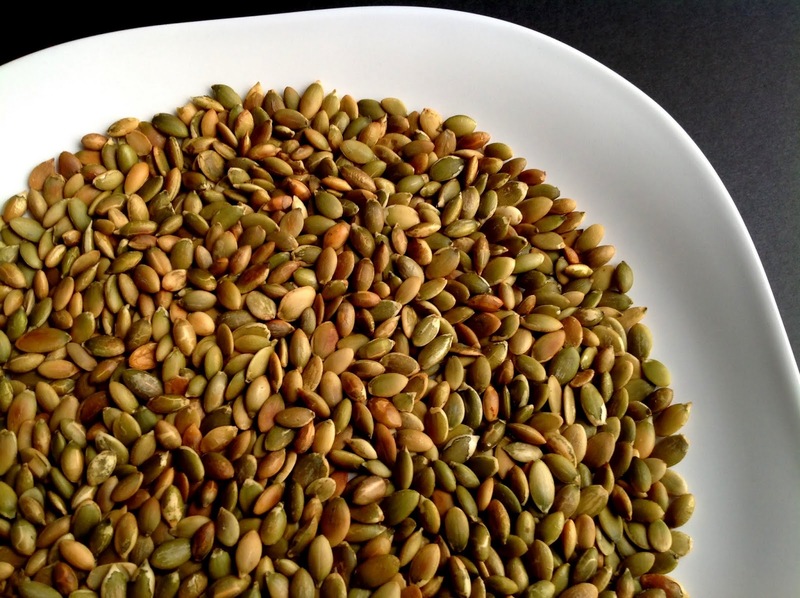 Pepitas are pumpkin seeds and are one of the cheaper nuts/seeds available in bulk at my local health food store. You could use any kind of nut or seed. Experiment and enjoy! Preheat oven to 375 degrees. Wrap sweet potatoes in foil and bake until soft, 45 – 60 minutes. Let cool slightly, then peel off skins and mash flesh (you should have about 1 1/2 cups). In a food processor, add graham crackers and oats and pulse until ground (you should have about 2 1/4 cups). 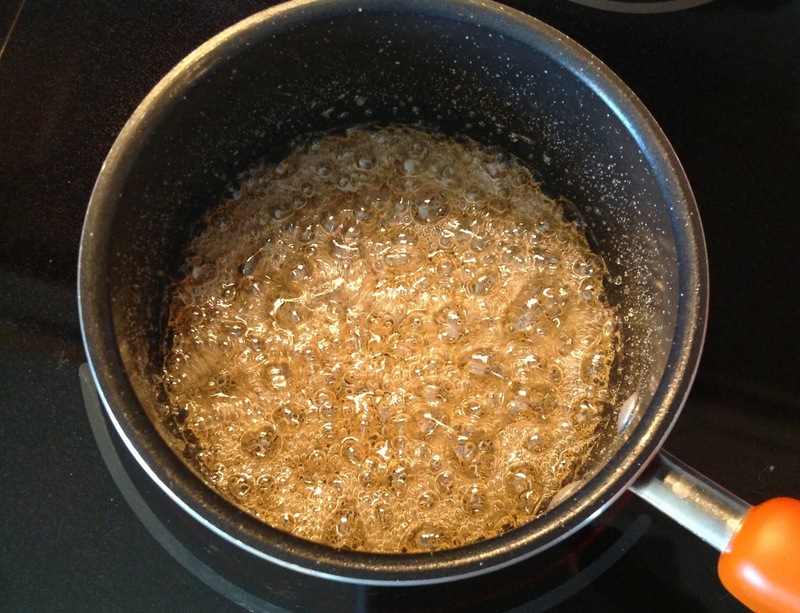 Add 1 stick of the melted butter, brown sugar, and 1/4 tsp of the salt and pulse until combined. Press into a 9 x 13 inch baking dish and bake until lightly browned and set, about 12 minutes. Remove from oven and reduce heat to 325 degrees. Wipe out the food processor and puree sweet potatoes, cream cheese, yogurt, eggs, remaining 3 tablespoons of melted butter, remaining 1/4 salt, vanilla extract, sugar, cinnamon, and cloves. Pour over crust and bake for 30 – 40 minutes, until the center is just set. 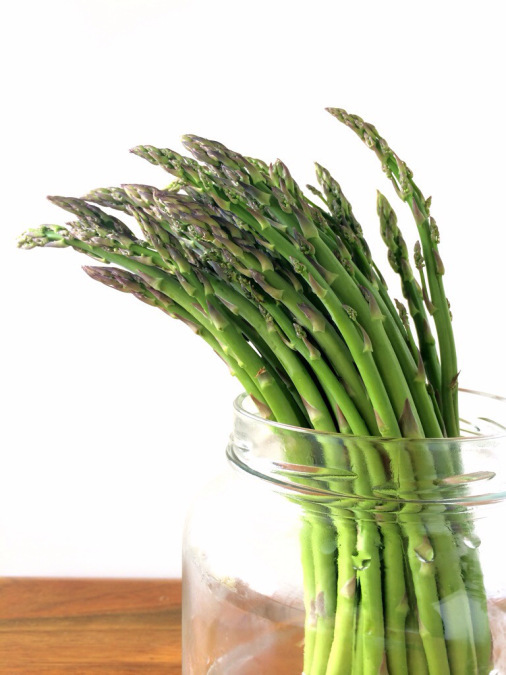 Let cool on a wire rack for one hour, then refrigerate for at least 1 hour (or overnight). Cut into squares and serve with a spoonful of cinnamon whipped cream and broken up pepita praline. Line a cookie sheet or baking pan with non-stick foil. In a medium saucepan, heat sugar and water together over medium heat. Once sugar is dissolved, turn up heat to medium-high and boil, without stirring, until it turns a deep golden color, about 15 – 20 minutes. 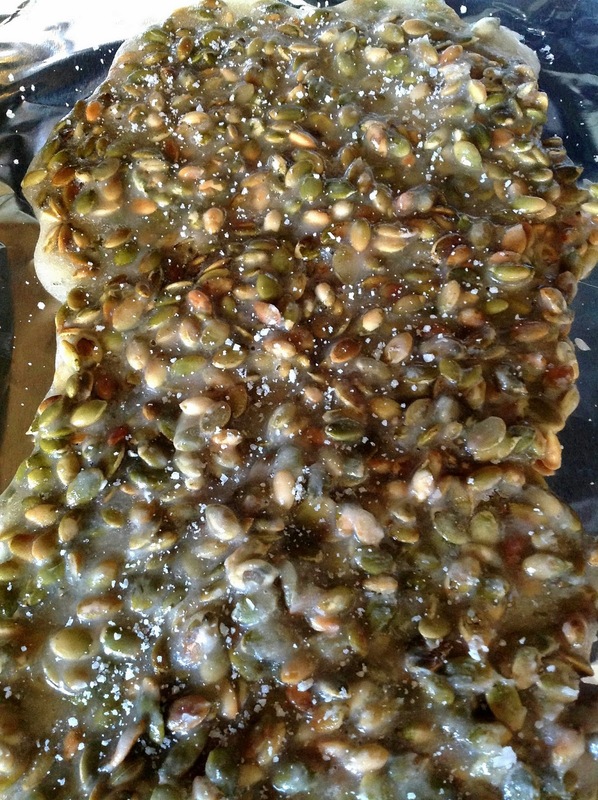 Stir in pepitas and, working quickly, pour out onto the baking sheet and spread with a heat-proof spatula. Sprinkle with sea salt. Let set until cool, then break into pieces, place in a plastic bag and smash with a rolling pin several times to make smaller pieces. Put the stainless steel bowl of an electric mixer in the freezer for 30 minutes (this helps whip the cream more quickly). 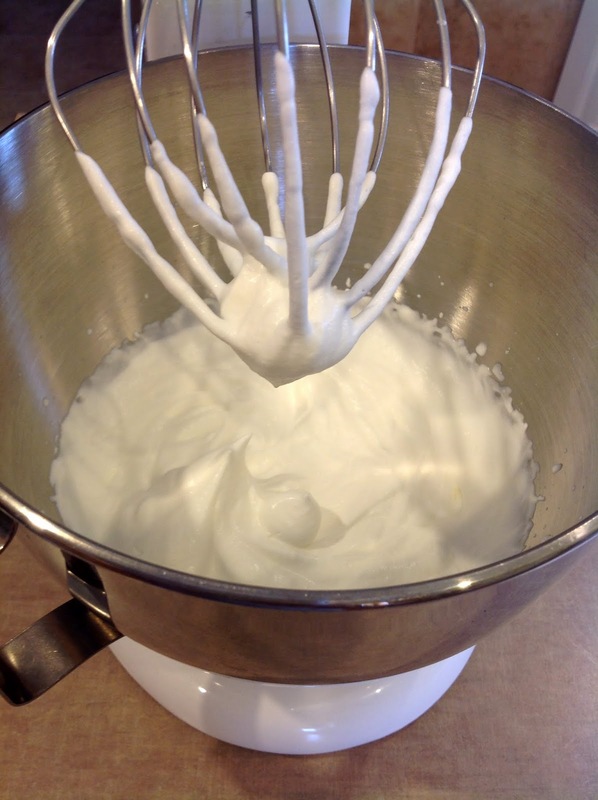 Then, using the whisk attachment, whip the cream on medium speed until soft peaks form (about 2 – 4 minutes). Sprinkle in powdered sugar and cinnamon and whip for another minute or two. Chill until ready to use.